Mad Cave Studios the publisher that brought us Battle Cats is now going Bibilical. Look for a full review of Knights of the Golden Sun by Aeon River coming soon. 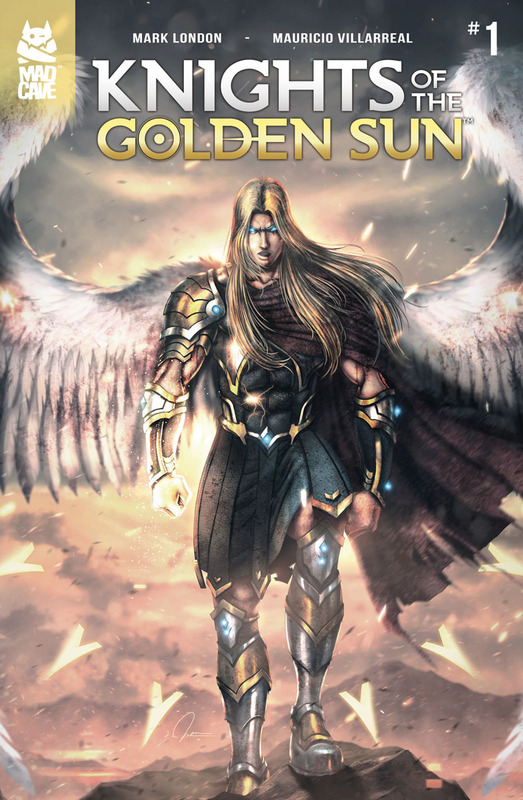 Mad Cave Studios proudly announces the upcoming release of its new title--Knights of the Golden Sun! God abandoned His throne in Providence. The angels are in turmoil. 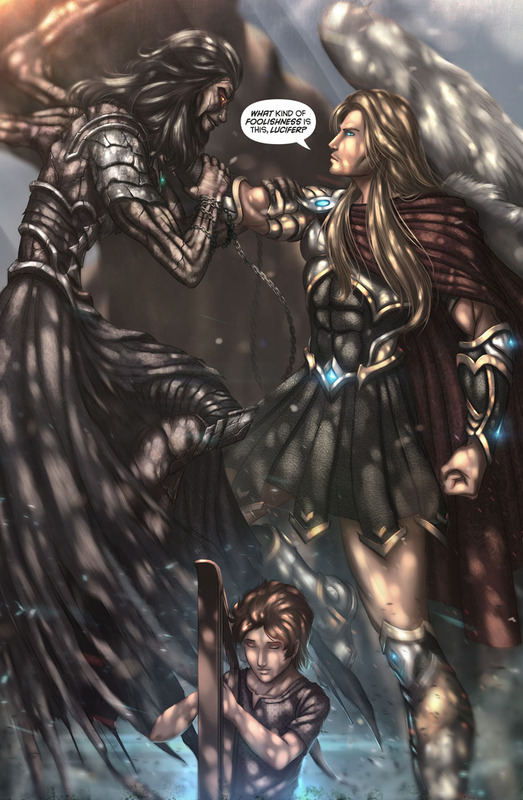 In a last-ditch effort to maintain order, Archangel Michael pleads with the original Knight, Lucifer, to help guide the lost angels back to the light. Meanwhile, an ancient menace looms in the shadows primed to bring humanity back into darkness. 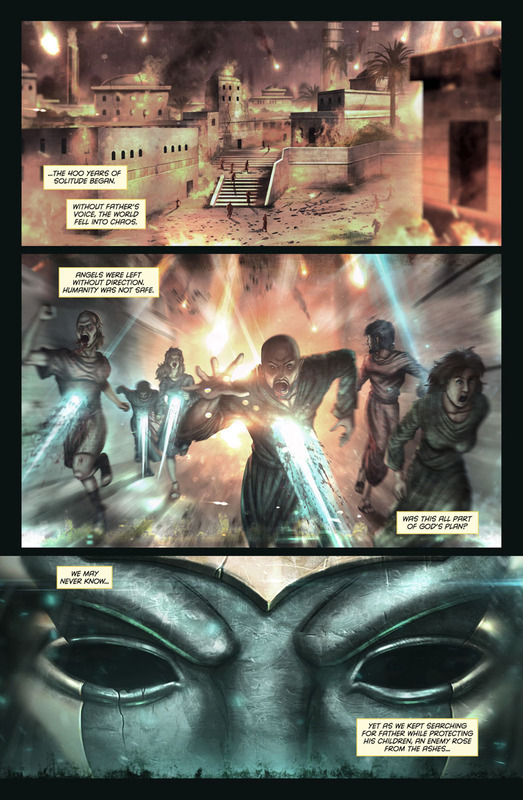 From writer Mark London (Battlecats, Midnight Task Force) and artist Mauricio Villarreal comes an epic tale set during an unexplored time in human history. 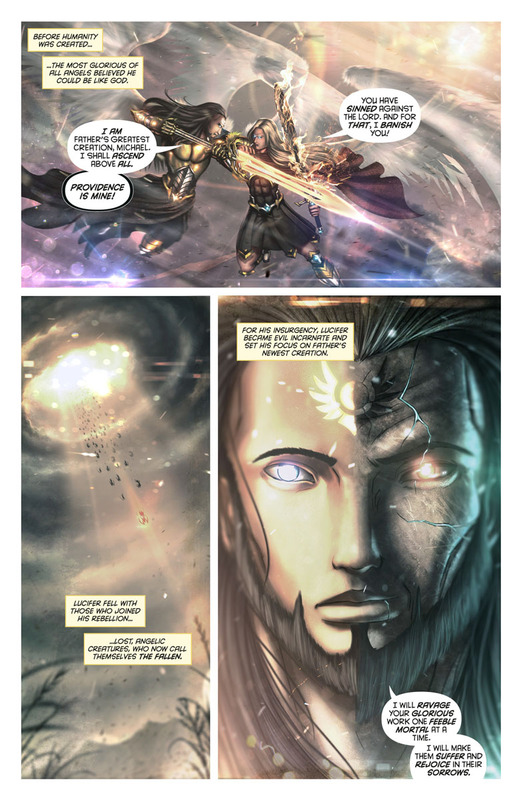 This comic review was brought to you by Aeon River you can find me on Facebook! Aeon River Facebook Follow Me or Yell at me HERE!